The performance of 303 Sevenoaks St keeps improving month after month. 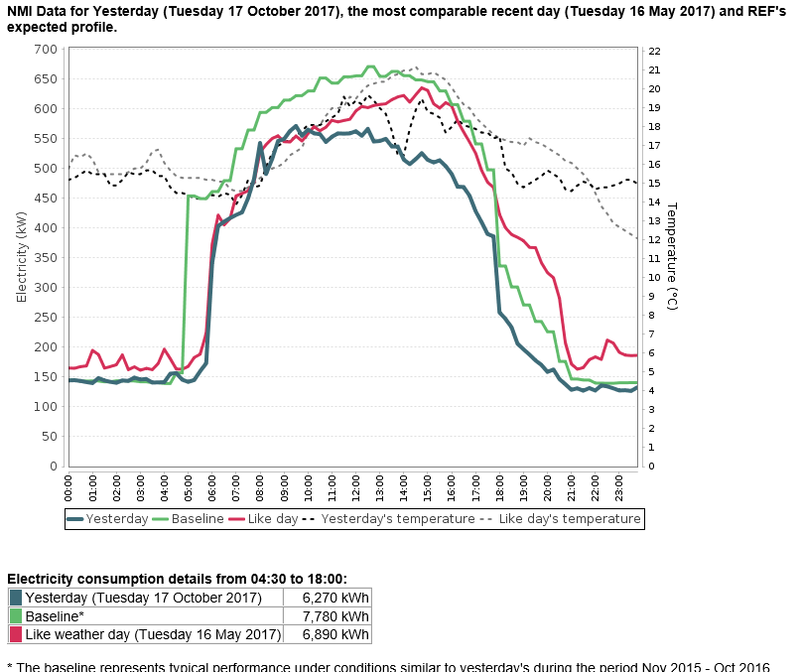 It is another example of where a facilities manager actively uses the BMS, monitoring it and making changes when necessary, using Buildings Alive’s daily REF messages to check the results. 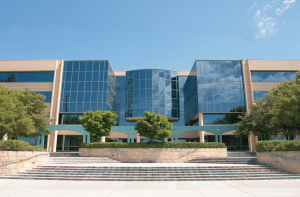 In this post we profile the building and its performance, and highlight some of the changes that helped improve energy efficiency. Since the start of Buildings Alive’s Rapid Efficiency Feedback (REF) service, 303 Sevenoaks St has been receiving frequent good news. Compared to the baseline modelling period (Nov 2015 to Oct 2016) this building’s performance has steadily improved and is now hovering at 20% savings. Chiller lock out temperature setpoint: This was raised to 17.5°C during winter and spring, keeping the chillers off longer. Find and handle faulty temperature sensors: The BMS has a feature to work around faulty temperature sensors, keeping them from generating false cooling / heating calls. EDHs locked out: Leaving winter, Electric Duct Heaters were locked out in some areas of the building. 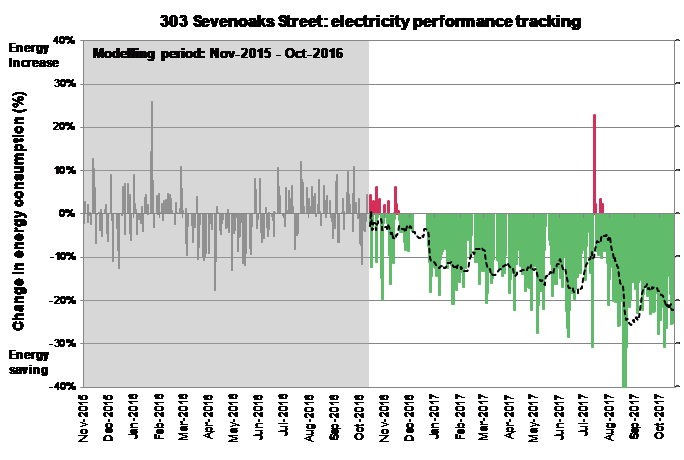 A typical energy profile day in October at 303 Sevenoaks St, where the comparison with the REF expected profile (green line) shows the performance improvement. The change on the start time, and the reduction in energy consumption after 6pm can also be identified.